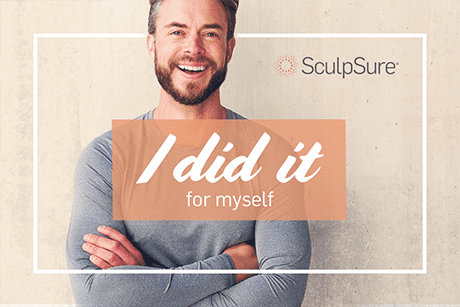 SculpSure treatments help you safely reduce stubborn fat in problem areas such as the belly, love handles, back, thighs and under the chin -- with a treatment plan that is customized to the results you desire. The medical care given by the physicians of BAO is gentle enough for the youngest newborn and the oldest and most fragile of patients. Our doctors work in coordination with your primary care physician to improve your body’s peak ability, whether your problem is poor health, pain, or you simply want to stay as healthy as possible. We accept plans from the following insurance providers. Prior to your appointment, please confirm with your insurance company that we are preferred providers and that your plan covers Osteopathic Manipulation - CPT code 98929. 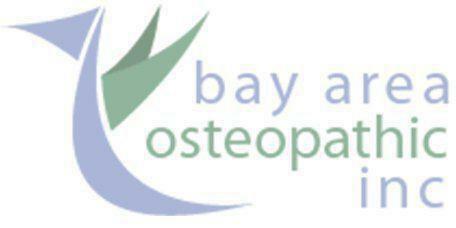 Dr. Susan Cislo and Dr. Thomas McCombs of Bay Area Osteopathic, Inc., located in American Canyon and San Francisco Bay Area California, are board certified osteopathic physicians, specially trained in osteopathic manipulative medicine. This is a manual medical approach that provides drug-free relief for a wide range of ailments and conditions, in patients of all ages, from infants to seniors. Osteopaths are full physicians who are trained in all the disciplines of western medicine, including diagnostic testing, surgery, and medication prescribing. In addition, they are specifically trained to use their hands to diagnose problems and treat by balancing the nervous system and restoring blood flow to muscles and organs. It is an American born form of medical practice that has been used for more than a century to aid in the recovery of numerous musculoskeletal and neurological issues, from migraines and insomnia to ear infections and digestive disorders. Treatment is safe and effective, and can frequently avoid the unnecessary use of drugs or invasive procedures but instead tapping the body’s own healing ability. Both Dr. Cislo and Dr. McCombs are nationally recognized speakers on OMM with over two decades of clinical experience. In addition, each has served as a professor at Touro University College of Osteopathic Medicine, in Vallejo, California and been published in the Journal of the American Osteopathic Association. Dr. Cislo earned her medical degree from Rowan University School of Osteopathic Medicine in Stratford, New Jersey. She is a pediatrician, board certified in Neuromusculoskeletal Medicine and Osteopathic Manipulative Medicine, as well as Boarded and a Diplomate in Integrative Pediatrics and Integrative Medicine. Although she can treat all ages, Dr. Cislo specializes in treating pediatric patients and pregnant women and has extensive personal and professional experience in working with autism, autoimmune diseases, and developmental issues. She utilizes her own unique blend of osteopathic and functional medicine to treat chronic disease in children and has developed treatments for many health conditions in these populations, including autism, learning disabilities, and failure to breastfeed in babies, preterm labor, mastitis, and endometriosis in women. In addition, she is currently in the certification program with the Institute for Functional Medicine sponsored by the Cleveland Clinic and offers prolotherapy to help patients recover from injury. Dr. McCombs received his medical degree from Oklahoma State University College of Osteopathic Medicine. He is board certified in Family Medicine and Neuromusculoskeletal Medicine and Osteopathic Manipulative Medicine. In addition, he holds a Competency Certification from the Osteopathic Cranial Academy. Dr. McCombs specializes in treating patients of all ages, who suffer from severe and chronic conditions. He provides both pain management and preventative care and has developed a number of his own manual approaches. These include techniques for weaning patients off ventilators and treating such conditions as: asthma, postoperative ileus, heart failure, gastroesophageal reflux and severe brain injuries. Dr. McCombs is additionally trained in Daoist Qigong and Internal Alchemy, both forms of ancient Chinese medicine; Rolfing, a deep massage technique; and the use of herbal tonics and liniments. Dr. McCombs served as a Navy medical office and Marine Corps Infantry officer. He was awarded the Navy Commendation Medal in 1990. "Dr Cislo is the most amazing doctor you are going to ever meet... I really don't have enough words to express how grateful I am to have found her." "I strongly recommend Dr Thom McCombs as an amazing healing professional. One treatment that I could hardly feel gave me at least 40% reduction in pain." "Dr. Cislo is very personable and easy to talk to...she let's you know what she is planning to do, how much it will hurt, and what the benefit should be."